Purchasing a custom fit set of irons is one the most important club investments you can make. It will affect whether you play your best golf. Having the correct combination of length and lie angle will allow a golfer to hit the ball closer to the center of the club, the “sweet spot.” An incorrect combination will allow the the toe or heel of the club to dig into the ground. When this happens, the club face ends up closed or open on impact. The ball goes right or left off target. Graphite shafts are lighter and more flexible. They absorb shock throughout the body, particularly the joints. This material is generally recommended for seniors, women, and those with injuries or pain. Steel shafts are heavier and stiffer. These shafts are best for stronger players. A stiff shaft tightens dispersion meaning more shots will be on target. 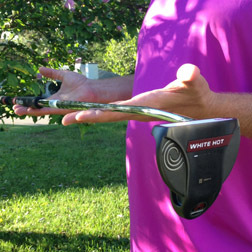 Flex, in a golf club allows the club to kick the ball. When flex is not matched to the golfers club head speed two things happen. A slice. The path of the ball will end up going towards the dominant hand due to an inability to release the club. 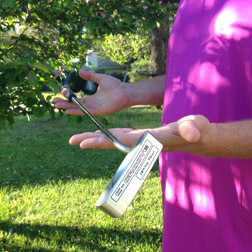 Proper grip size affects control and release of the golf club. 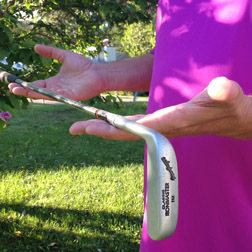 A grip that is too small allows the hands to wrap around the club too far. Increasing the twisting on impact. A grip that is too large inhibits the hinging or releasing of the club. A good set of properly fit irons can last for as long as you like to play. Some people like to switch irons every five years. The best way to get the most from your iron investment is to have a pro help fit you in the right clubs. Contact me, I can help.